Dripp / Hybrid effect is widely used in offset printing. This effect is achieved due to the reaction of gloss uv and conventional matt ink. The same can now be achieved through uv screen printing by two process. 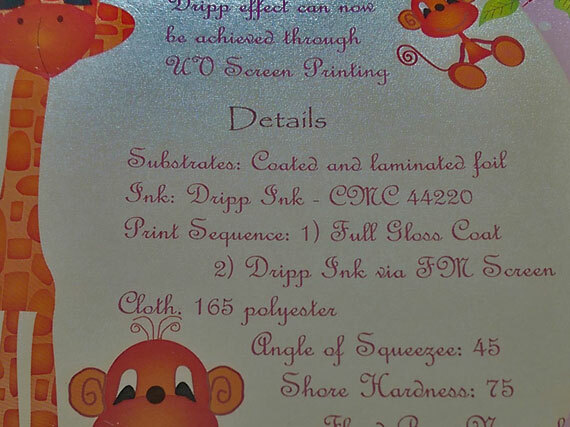 In the first process a full coat of gloss uv is given and for the second process, FM screen is prepared (where the effect is desired) and printed with dripp ink. Though best result is obtained on laminated foils, other materials like laminated boards, artcard, pvc etc can also be explored. Substrates: Coated and laminated foil. Printing Inks: Dripp ink – CMC 44220. Effect Creation / Print Sequence: 1) Full gloss coat. 2) Dripp Ink via FM screen. Cloth & Mesh: 165 polyester mesh. Angle of Squeeze & Shore Hardness: Normal with shore hardness of 75. In corel select the image in which you need the effect. The desired pattern will be formed and make a normal screen positive. In photoshop select the image layer in which you need the effect. 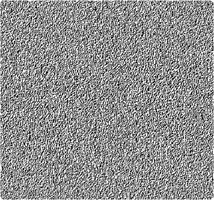 Click ok to get the desired pattern and make a normal screen positive.